Puvidham Rural Development Trust is a registered organization that works on developing effective organic farming techniques and providing a humane and child-centered education environment for children in the Nagarkoodal area of Dharmapuri, Tamil Nadu, India. It was an initiative which began in 1992 and since then has taken strong roots. It is the culmination of a dream, of Umesh, a mechanical engineer and Meenakshi, an architect who went about to build a community of people whose passion in farming and education could be translated into local opportunities. The activities have now evolved into Puvidham Farm, Puvidham Learning Centre and Puvidham Development Centre and are run under the umbrella of Puvidham Rural Development Trust. Today, Puvidham is managed by a 80 strong family of committed children and individuals who are working to change the harsh and arid landscape into a sustainable and resource rich area. These initiatives are guided by well wishers and Trustees who have had exposure to realities of rural India, its concerns and potential. Both Meenakshi and Umesh were born and brought up in Mumbai. 20 years in Mumbai opened their eyes to the various facets of the urban life and the realities behind those. After finishing her degree in Architecture from Sir J.J. College of Architecture, Meenakshi’s search for an alternative way of life brought her to Auroville near Pondicherry, where she worked with low cost eco-friendly construction technologies. She had always been interested in children and schools and often went to Isai Ambalam School. There she met Umesh, who was doing Organic farming. Being disillusioned in the same way after finishing his B tech in Mechanical engineering from IIT Chennai he was also looking for an alternative way of life. After working with few organizations for some years, they decided to settle down on their own and practice the various alternatives in farming, construction and education. In 1992, they bought a completely degraded 12 acres piece of land in a drought-prone area of Dharmapuri District in Tamil Nadu. There were about 2 acres of arable land where they could grow dry land crops and 10 acres of eroded hill slopes on which they could only hope to regenerate a forest. For the first 3 years there were good rains and they were able to grow millets and do soil and water conservation work. Numerous indigenous species of trees and grasses regenerated. They also planted forest trees and sowed fodder grass. The completely barren brown piece of land was slowly coming to life. Suddenly the rains became erratic and undependable. In 1997, the rains failed completely. The crops all dried up in the fields. They then understood the plight of the farmer. They decided to work with the local farmers to help them to adapt to the changing climatic conditions – through their children – the future farmers. 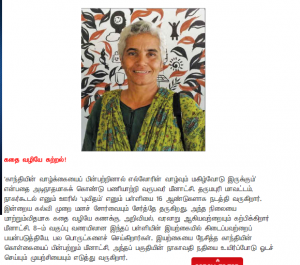 The learning centre was the outcome of long cherished dream of Meenakshi. She was a very unhappy student in Bombay. When in the 9th grade the class was asked to write an essay on “My School”, she had written about her dream school where there would be no exams or competitions, where the children would be allowed to follow their interest in an atmosphere of enquiry and happiness instead of fear of failure. The essay found its way to the dustbin, as her unimpressed English teacher tore it. But, today Puvidham Learning Centre is modeled on that dream school. The school was started, in January 2000, with two of their children and one nephew of the new teacher they employed. By June 4, other drop outs of the education system had joined them and the learning centre of Meenakshi started in earnest. Due to the dry conditions and difficulties of agriculture in the area, many people migrate for work to the cities, to construction sites, road works and other daily wage work. Their children are left behind or are taken along and live a very uncertain life on construction sites or in slums. Several such parents approached Puvidham to ask whether their children could board, while they went in search of work. With this in mind, a hostel facility is provided which caters to such children, and thus provides a more stable environment for them while they also attend SCHOOL at Puvidham. The SurabhiNiwas Hostel was started informally in 2003 and became a full-fledged hostel in 2005. As a part of their history and social science lessons, the 7th and 8th level children decided to do a survey talking to the villagers about the past and present situations in the village drawing attention to chemical farming, crop patterns, food habits,health, soil condition and water situation. The last question on the questionnaire was if they were interested in trying to make a positive change in their choice of deciding to grow millets which are suited to our dry climate. The children also asked them if they need any help in making the change. The outcome of the survey was that we as an organization decided to reach out to the farmers and see how we could all do something to save our soils from eroding, do water conservationand fodder management and strive to bring back the health of the earth and the people. Managing trustee and full time teacher, administrator and consultant. After finishing her Architecture Meenakshi spent 2 years at Auroville learning Earth Construction and Lime Mortar construction with Poppo Pingel. There she met Umesh Chandrasekhar Together they came to Nagarkoodal village in 1992 and started to do organic farming and eco restoration work of the 12 acres of degraded land they bought..
Meenakshi spent the first 8 years in making soil conservation and water harvesting structures and tree planting –mulching and watering the young saplings. In 2000 the Puvidham Learning Centre started. Trustee, Administrator, Accountant, full time teacher and Farm supervisor. Madhavaraj joined puvidham learning centre in 2000. He belongs to a village 4Kms from Puvidham called, Balajangamanhalli. He is trained to do pottery for children in Bangalore. He went to Vikasana School in Bangalore and learnt English from Malathi Akka. She also taught him the Phonetic method of David Horsburg. Trustee,Full time teacher, Hostel administrator and Origamy crafts person. She is from a village 6 Kms from Puvidham called Parapatti. She came in 2007 after finishing her 12th. She learnt teaching on the job. She also went to Vikasana for training in science education. She has done a story telling course in Kathalaya, Bangalore. Along side her teaching, she did her BA English. She then took a one yer break to finish her BEd. Now she is doing her MA by correspondence. She has cleared her TET EXAM and has been posted as a Government school teacher. Rameshwari is one of our trustee. She is the neighour to Puvidham and has seen Puvidham become a forest from a wasteland. Driver, wood work carfts person, Drip irrigation manager. Jothi joined as a driver in 2010. He soon became indispensable as he integrated with the organic Gardeining and puzzle making activity. With Puvidham since 2011, she is a BA in English. An expert in upcylcing. She is responsible for 1st and 2nd children. She teaches stitching, embroidery, makes upcycled foot mats, weaving and tailoring. BSc Chemistry and BEd. He takes care of Junior School and also doubles up as a driver. With Puvidham since 2014. He also takes part in farm maintenance. Teacher, Administrator for village Extension work, Hostel administrator and procurer of groceries, Farm manager. Joined in 2016. He takes class for the 3rd and 4th. He is a wonderful resource person for local extention work. He looks after the vermicomposting, bio pesticide and bio fertilizer preparation. Helps with the dairy farm management, milking, nursery, vegetable garden and extension work in the village. Nutrition manager in the school. Bakery Incharge. The earth construction Specialist and head mason of all the buildings at puvidham. He also does ferrocement work and is trained in all the Laurie baker technologies practiced at puvidham. He loves tress and plants. Spends time grafting and creating an exotic nursery. The earth construction specialist helper, farm help. He is an artisan who works with bamboo and wood. Joseph is an engineer by training with 35 years’ experience in rural technology, agricultural, renewable energy, and social innovation within NGO, business and research sectors in India, South and South East Asia. Currently as part of the Development Office of Indian Institute of Technology, Madras (IITM), Joseph works with Corporate houses to get them to fund and support socially relevant projects that IITM faculty are working on He is also on the Governing Council of the Centre for Social Innovation, IITM. Previously, he was the Chief Technology Officer at Villgro based in Chennai, a VC incubator for rural entrepreneurs. Other assignments were with the Byrraju Foundation, Hyderabad, 2 early startups of IIT Madras namely Midas Communication and n-Logue Communications. After finishing his B-Tech at IIT Madras in 1982, he joined the Shri AMM Murugappa Chettiar Research Centre and was Deputy Director when he left in 2001. Joseph has served on State level and National level committees in India. From 2010 he was a Member of Project Advisory Committee of Universities and Councils Network on Innovation for Inclusive Development in Southeast Asia, Ateneo School of Government, Manila, and member of the Core Advisory Group on Sustainable Agriculture of the United Nations Global Compact. Raj, with a Doctorate in Technology, from the Institute of Chemical Technology (ICT), Mumbai, India, has three decades of experience in the chemical, material and energy chains. He has extensive experience in projects, sustainability, safety management; developing information products, publication systems and training modules. He has a wide exposure in rural skills development, health care and capacity building initiatives and has authored several books, position and trend analysis papers. Besides, he researches business, technology, regulatory and sustainability practices in chemical, energy, material, agriculture and natural resource sectors. He collaborates with government organisations, task forces and rural development agencies. He is the founder and Chief Coordinating Officer of KnowGenix, a niche research and growth strategy firm with chemicals, materials, energy and renewable practices. He is the founder of a research think-tank, (Weaving Insights Strategies & Experiences), WISE which focuses on Food and water security; Skills development/capacity building; Healthcare technologies & delivery systems; Sustainability management & literacy; Science, technology & society frameworks; and Inclusive education, arts & communities. Dr Vidya Menon is a Dental Surgeon having independent practice in mumbai. She did her studies in Government Dental College, Mumbai. Though a Doctor by profession, she is also an artist and has participated in select exhibitions. She happened to visit puvidham, took a liking to the core value systems and sustainable living practices followed at puvidham. 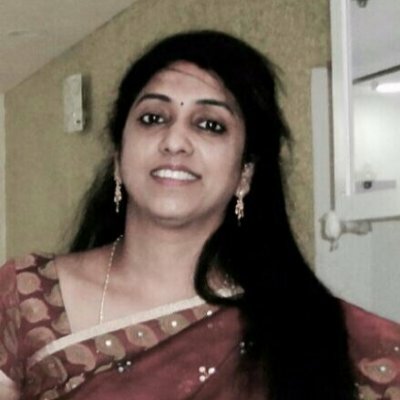 Dr Vidya has consented to be on our advisory board and comes on board the puvidham journey. She can be reached at vidyarajanm@gmail.com. Ms Rajyalaksmi is a structural engineer turned Software Engineer with 15 years of experience in project and account management. She has worked with large IT corporates in India and Abroad. She relishes her experience and expertise in establishing best practices and guiding organizations in implementation of CMMi certifications. Apart from her career, she is a public speaker and also volunteers with NGO's in helping and guiding orphan girls. Beyond all this she did have time for kathak, which she started learning since the age of 1.5. We are pleased to have her on board puvidham as an advisor. We are happy to collaborate with other institutions to share knowledge and resources.